This is the cover of the December 1978 issue of the York College student-run Spirit Magazine. Feauturing drawings depicting African-American women and men over the continent of Africa, it also includes a quote that aptly reflects the mission of the magazine. 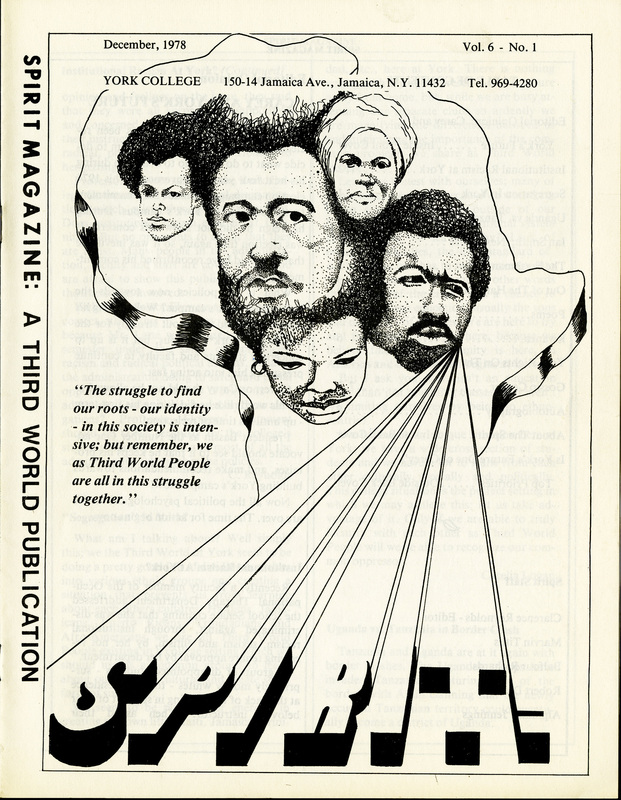 A self-described "third world publication," Spirit was the creation of York College students and reflected the concerns and priorities of the college's large black student population. Cite This document | Spirit Magazine, “Spirit Magazine Cover, December 1978,” CUNY Digital History Archive, accessed April 18, 2019, http://cdha.cuny.edu/items/show/5132.